Russian Visa of 3 years is mentioned as Highly Qualified Specialist (HQS) = Высококвалифицированный специалист (BKC). To get Highly Qualified Specialist, namely Russian visa of 3 years, is both simple and fast process. 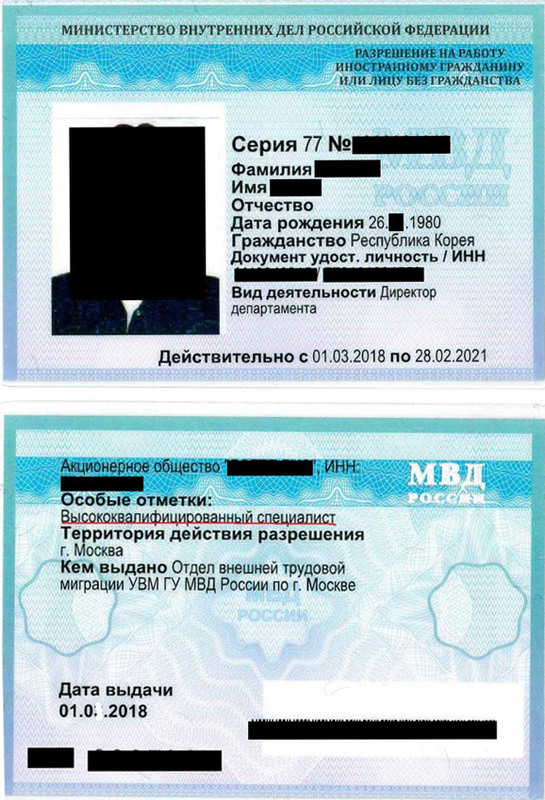 Each company that is registered in UVM(Russia Ministry of Interior, Federal Migration Regional Directorate)in Moscow has the right to make VKS visa with the condition that it will officially give an annual salary of at least 2 000 000(two million)ruble to the foreigner specialist that it will get worked. It has been paid 3500 ruble for issuing a plastic work card to person, 800 ruble as state fee for applying od issuing invitation based on the plastic card. This process is 30 calendar days. After you got invitation, you can get your visas for 3 years in abroad consulates of Russia Federation by paying fees which are determined by consulates. This process both simple and fast but only for us which have staffs specialized about migration area since 2000. VKS, this visa can be extended as 3 years, before 20 working days until the expiry of the visa without making exit from Russia. If we open more, in order to extend VKS visa of three years, it is needed at latest 20 working days after repeating the procedures that are made 3 years ago, and issuing the work permit plastic card. After plastic card, the process of sticking of visa to the passport has been made which lasts 3 weeks. At latest 3 calendar days after the signing of work contract, recruitment notice must be done to UVM. Taking of the visa named as YKU –VKS is 4 weeks in the name of your company. Please contact for necessary documents.